We want to thank everyone who came out to the Lake Arrowhead Brewfest last weekend. As always, we were blown away by the community’s support and positive feedback! Andrew Divoff raised $579 for the Mountain Film and Theater Arts Committee scholarships through the sale of T-shirts and autographed photos. He wants to raise another $421 to make an even $1000, so he’s extending his charity drive on his webstore until the goal is met. Check out the video above more more information. We were also thrilled to introduce two new brews–the Trugger’s Logger Lager and the Cowboy IPA. Trugger will be hitting store shelves in San Bernardino County soon, with plans to release the Cowboy IPA shortly after. I’ve got to admit, I’m not an IPA kind of gal at all, but this IPA was pleasant by my standards; pleasantly smooth and not punishingly bitter. 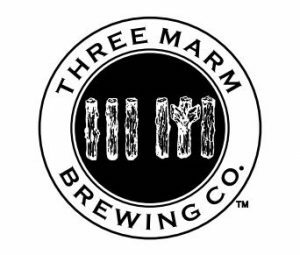 A busy Brewfest weekend didn’t prevent the Three Marm team from getting a LOT of other stuff done. I got to take part in an early-morning bottling session with Andrew and our head brewer Donnie, knocking out six cases the morning on the Brewfest. The guys also started installing the cold-room in our future brewery. Check back soon for some BIG news this fall!